Israel provided no evidence of cross-border attack tunnels in a meeting with U.N. peacekeepers on Wednesday, Lebanon's Parliament Speaker Nabih Berri said. The Israeli military launched an operation on Tuesday to "expose and thwart" tunnels into its territory which it said came from Lebanon. Israel accused Lebanon's Hezbollah movement of digging across the frontier. It said the tunnels did not function yet but posed "an imminent threat". 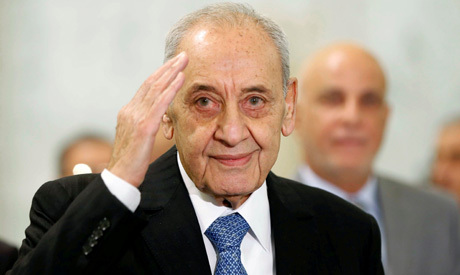 "The Israelis did not present any information," at the meeting with the Lebanese army and the UNIFIL peacekeeping force, a statement from Berri's office said. "This (Israeli accusation) is not based on any real facts at all," Ali Bazzi, a lawmaker from Berri's parliamentary bloc cited the speaker as saying after a meeting. The Lebanese army said it was "fully prepared to face any emergency" and its side of the border remained calm on Tuesday. Israel and Hezbollah have avoided major conflict across the border since their last war in 2006, though Israel has mounted attacks in Syria targeting the heavily armed Shi'ite Hezbollah.